Victoria Cars is an independent prestige, sports, performance and 4×4 car dealer specialising in used prestige cars. Our selection of handpicked vehicles are displayed for sale at our premises, in Barnsley just off the M1 at junction 37. We offer for sale Pre owned marques such as BMW, Mercedes Benz, Audi, Porsche, VW, Aston Martin, Jaguar, Land Rover and Range Rover. Victoria Cars offer Full dealer facilities including Part Exchange and Same Day Finance, HPI Cleared Vehicle and Full Warranty Packages. 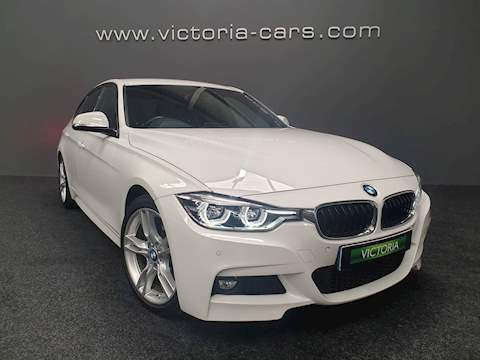 We pride ourselves on competitively priced cars prepared to the highest standards none of are cars are from auctions they come from main dealers or direct from leasing or finance companies. All of our cars are offered with Warranty and HPI Clear. Our main objective is the emphasis on personal and informed customer service. We have been offering excellent value and service since day one. If you don’t see the car you are looking for on our website fill out the enquiry form with details of your preferred car or call us on the on the number above and let us find the right car for you as we have access to 1000’s of cars through our dealer network. Register with victoria-cars.com to receive weekly used vehicle stock lists. Superb! The best way to buy a car. Cant do enough for you, answer all your questions honestly and happy to help out after your purchase. After sales is as important as buying and Daron’s help and knowledge is second to none. Wouldnt go anywhere else. (dropped the car off at my house) and absolutely no pressure sale tactics involved, cheers Darren. First place I’ll go when I need a new car. decision and good price on my trade in, even sent back CD’s I’d left in player. Would recommend and use again. Top class service, efficient & reliable salesmen in a family run business. Very happy with my purchase!